Here we will have a look at some warnings for a credit card finder. Did you know there’s a man in Cape Town who owes a combined total of R94 500 on two credit cards? He pays a whopping R1198 in interest every month and says he feels as if his money is being poured down the drain. Every time he manages to pay off some of the debt, he has a financial emergency, misses a couple of payments, and goes right back to square one. What’s more alarming is there are dozens of people out there like him. According to the South Africa Savings Institute, consumer debt is spiralling out of control. Many households now spend as much as 80% of their income on debt, and this figure is growing. Another thing many people don’t know about credit cards is that the interest rates are sky high. For example, you could pay as much as 20.25% in interest which means that on a debt of R9870 you’ll pay about R1935. And this is why it’s important to compare the various options available and find the card with the best rates and terms. They can be used anywhere, even overseas. A credit card allows you to make purchases over the phone or on the internet. 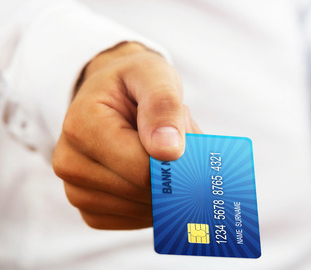 You can use credit cards as a last resort during financial emergencies. The main benefit of having a credit card is that you can make purchases and pay them off over time. Using a credit card, and managing it correctly, will allow you to build up your credit history gradually. Having a good credit score also helps you to borrow money at lower rates. If you get a credit card, it’s important to be able to control your spending. It’s easy to spend too much with a credit card because you don’t have to stick to your budget. Unless you make your monthly payments, interest and penalties can accrue and you’ll go deeper into debt. Having more than one credit card in your name can put off lenders. Having more than one credit card can also negatively affect your credit score. There is a link between credit card ownership and bankruptcy. You could be a victim of credit card fraud. To get a credit card you need to sign a legally binding contract, and this may cause problems down the road, especially if you go into debt. Never use credit cards to pay for studies, or to pay off the money you already owe, or to live outside your means or budget. Also never use them to make purchases where you could pay with cash or with your debit card. Most importantly, avoid paying your salary directly into your credit card account, as this will result in unnecessary fees.